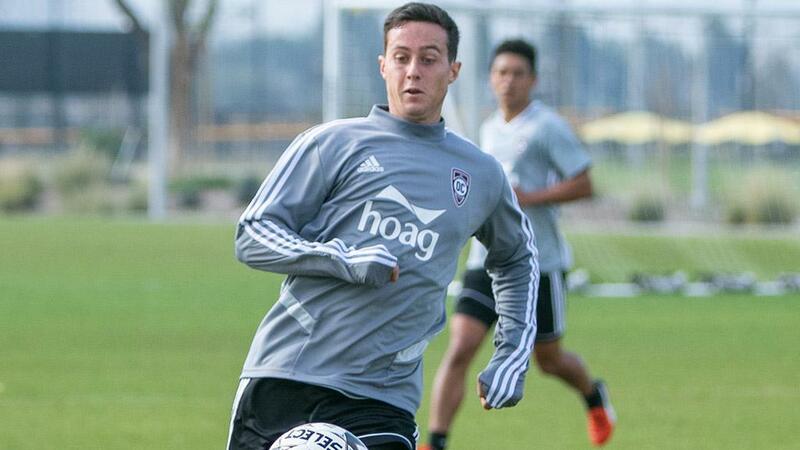 IRVINE, Calif. – Joining the professional ranks with Orange County SC after a stellar career at nearby Concordia University was an exciting moment for Connor Gordon, but it also served to illustrate somewhat of a coming of age for the pathway that Orange County has created within its organization over recent years. Gordon’s arrival on the club’s USL Championship squad comes after previously competing for for the club’s USL League Two side, scoring three goals and adding two assists in nine appearances last summer before completing his career at Concordia. That path is one that OCSC General Manager Oliver Wyss is hopeful others will take in the future. Gordon capped his collegiate career last fall by being selected to the Division II Conference Commissioners Association All-America team, a first in Concordia program history. His 50 goals for the Eagles tied the school record, and he also added 21 assists during his four-year career. He was also voted First-Team All-West Region for the first time in his career and First Team All-PacWest Conference for the second time in three years. Now the local standout is looking forward to moving up to the next level and help Orange County try to emulate it’s strong 2018 season.